Need help troubleshooting or setting up your wifi, remote controls, or router? Stop spending hours stressing about your devices and sign up for a support plan with MTC Technologies. Our technicians will visit your home when needed to replace your remotes, fix your ethernet wiring, set up your router, and more! We have several different affordable support plans available depending on the MTC package you select. Find internet, TV, and phone packages in your area and then select a corresponding device support package to free up your time and energy! 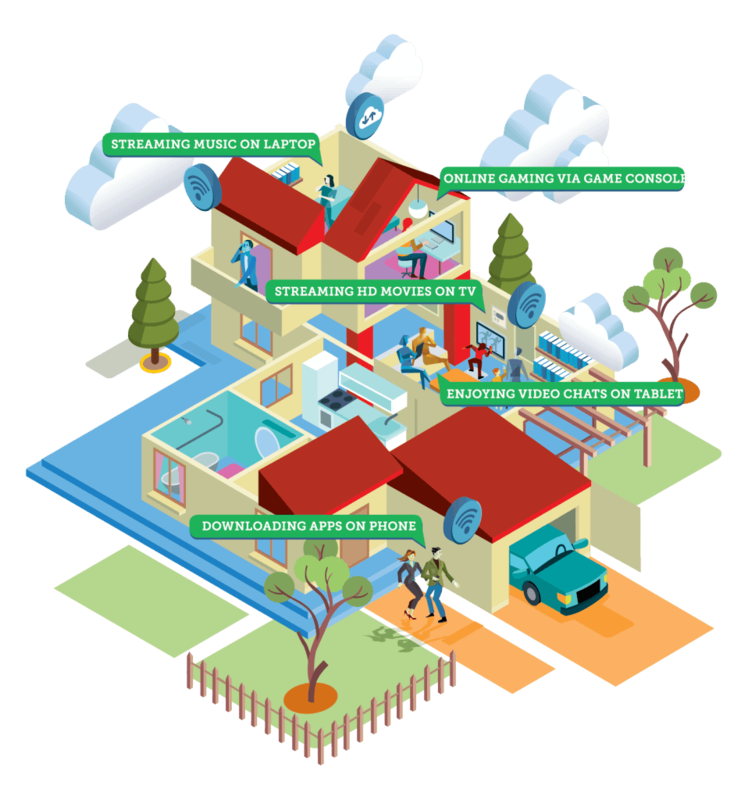 This support plan is for customers who have a package from MTC that includes internet, wifi, TV, and landline services. This is the support plan we offer that gives you the most coverage; we’ll help you with anything from device wiring to router setup. *Applies to all rented equipment from MTC (including, but not limited to): routers, mesh points, switches, and cabling. Upon disconnect, all equipment/cables must be returned to MTC to avoid charges or they can be purchased at a pro-rated price. A one-time fee of $45 may be assessed on additional leased equipment, if needed. This support plan is for customers who have MTC internet and wifi. With this plan, MTC will take care of router support, setup, configurations, firmware upgrades, and more. This support plan is for customers who have digital TV service from MTC. We’ll handle your remote control programming, connection of new devices, and more. Upon disconnect, all equipment/cables must be returned to MTC to avoid charges. This support plan is for individuals who have phone service with MTC. This service includes the repair or replacement of your landline phone wiring. At only 75 cents a month, this service is extremely affordable and well worth the peace of mind of knowing your phone wiring will be taken care of at all times.